Are you in the market for used trucks for sale in Indiana? Have you looked at other dealerships and have not been satisfied with the outcome which was you left disappointed? We here at Acra Auto Pre-Owned Superstore are your local dealership with a variety of used trucks for sale near you, and we are sure to have one that matches what you are searching for in a vehicle. Have you been wanting a diesel truck but haven't had much luck at all finding that right one for you? We want you to stop by Acra Auto and take a look around at our dealership and see what we have to offer. We have many models and styles of used trucks, and we have several diesel trucks for sale in Indiana if that is what you are wanting. Do you have your own business and need a truck to drive around for your job, or do you want a truck just for the versatility a truck has to offer? If you have your own business such as a construction company, or landscaping business a truck is top on the list of vehicles to purchase just because of the service they can offer you. They have the room for everything you need to use it for, and you can also use a trailer to the back of the truck for even more usage. Why diesel? Some prefer diesel for economic reasons, and some prefer to have a diesel truck. It's a matter of preference. Do you have a camper or a boat and do a lot of fishing or hunting. A truck is a no-brainer when it comes to those type of hobbies. Are you looking for a Dodge Ram truck for sale? 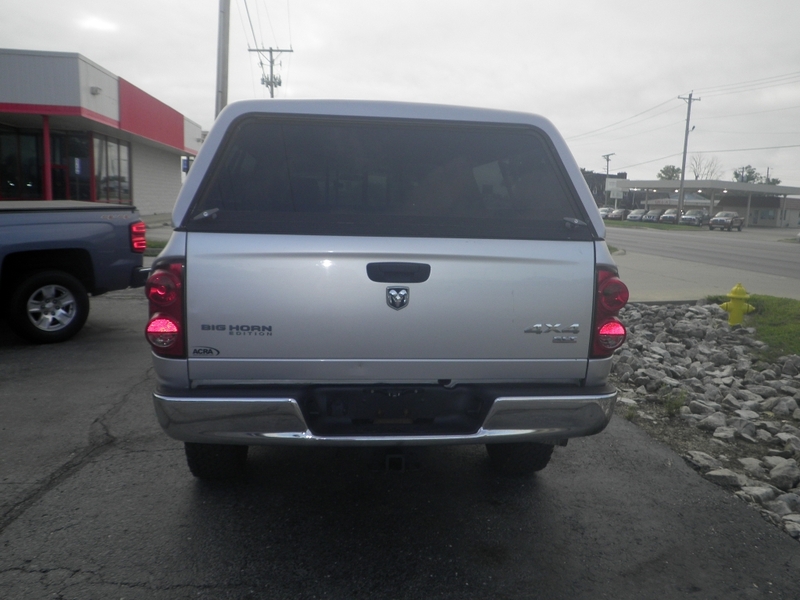 We have a Dodge ram diesel for sale here at Acra Auto, its a 2007 Dodge Ram 2500, it comes with a quad cab, is four-wheel drive and has four-speed automatic with overdrive transmission. 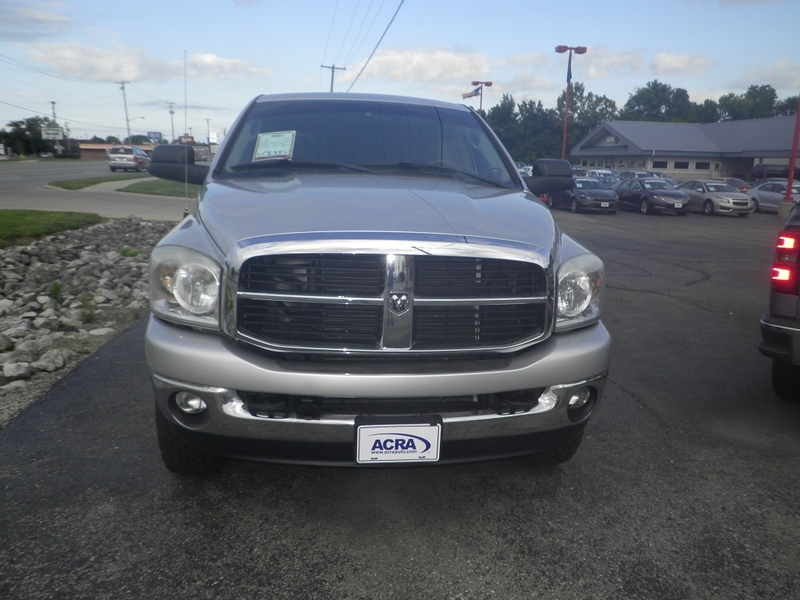 This Dodge Ram also comes with a 6cyl, 5.9L, 325 HP Engine and has a Silver Metallic Exterior and Slate Gray interior. This used truck also comes with AC, CD Player, Power Windows, Power Door Locks, Steering Wheel Controls, Cruise Control, Key-less Entry, Anti Lock Brakes, AM/FM Stereo, Trailer/Hitch Receiver, Auxiliary Power Outlet, Tinted Glass, and Heated Mirrors. If you aren't in the market for a used truck, we have other vehicles to stop by and take a look at here at Acra Auto. Our expert sales staff are here to answer any of your questions you may have about our dealership and the car buying process here. We will let you take a test drive on any of the makes and models you would like to take for a ride so you can feel how the vehicle handles for you.